Howie just landed his dream job. On day one, he meets his new boss, gets his new cubicle and is told to make lots of calls. On day two, he encounters more orientation... and advice from a veteran seller to hone his elevator speech. On day three, his boss is fired. How will Howie ever achieve sales excellence?! 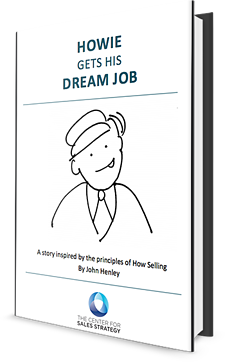 Discover the secrets Howie used to achieve sales excellence by filling out the form.